It’s that time of year again! American Idol is starting up again! Each week viewer’s homes are filled with the sounds of some of the best and worst upcoming new artists. Thinking about past winners each year I found myself coming across a finalist who I thought was pretty good! 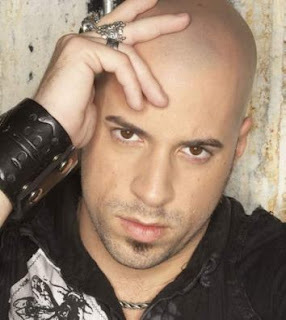 He was the fourth place finalist in the 5th season of American Idol, Chris Daughtry! Daughtry Fans were bummed that he didn’t make it any farther than 4th place in the competition, but I didn’t get too bent out of shape by the results. Being an avid watcher of the show, it seems to me that the people, who actually end up winning the show, don’t end up being as successful as the other contestants. That being said, years later, Chris Daughtry is still continuing to tour his new music and it looks like he will be making a stop in Milwaukee to promote his most recent CD “Leave This Town!“. Daughtry will be performing at the U.S. Cellular Arena at 7:30 p.m. on April 7. The opening acts are going to be Lifehouse and Cavo. I’ve never heard of Cavo but I’ve always been a fan of Lifehouse! Tickets go on sale this Saturday, Jan 23rd at 10am. Should be a great show!